I know of a distressingly bad senior center called Lakeview. It is losing money; it has already cut costs; the owner is a bully; the doctor is a wimp; the residents live pathetically limited lives. What they really need is for someone to swoop in and save them from themselves and that is exactly what happens. The new resident is a superhero. Of sorts. He is in his mid-forties. Illiterate. Somewhere on the autism scale. And dying pretty fast. With those resources, I’d say he is perfect for the job. The movie is called Gideon. No one ever says why it is called that. The main character is Gideon Dobbs (Christopher Lambert), but I think they probably have Gideon, the Israelite judge in mind. These old people are oppressed by the forces of Midian, so to speak, and Gideon delivers them. How he delivers them and in just what sense he delivers them are what the story is about. Here are two ways to look at it. Coleman Walker is the only major black character. He serves Lakeview as a general handyman and is one of the best drawn characters in the movie. Coleman Walker: You know Gideon, I like the way you look out for Addison and the others. Gideon: I like them very much. Coleman Walker: You certainly have given them something, I’ll tell you that much. I like that assessment for what it says about Coleman Walker. As a black man in a white world, he knows how crucially important dignity is and he is not saying that Gideon grants the residents dignity. He is saying that they have come to accept dignity as integral to their lives as a result of Gideon’s living there. Dignity is a precious commodity in a senior center, even a good one, and Lakeview is not a good one. Addison Sinclair (Charlton Heston), a retired philosophy professor, sees the same thing another way. Anyone who talked to Gideon knew he was being heard. “Being really heard” meant a great deal to a retired professor. He didn’t mean that he appreciated Gideon because Gideon was willing to listen to him particularly. He meant that he appreciated Gideon because Gideon listened to everyone. And because Gideon wasn’t always preparing his next line, he heard more than other people did and saw more as well. But of all the truths Addison could have cited, he chose the one that was central to his own life, just as Coleman Walker did. 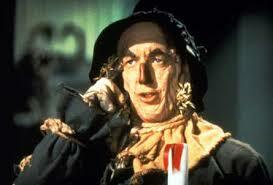 As a result of this stereotyping, there is an odd Wizard of Oz feel to the story. 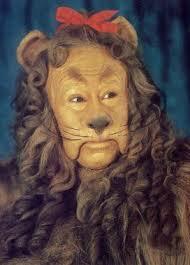 Cowardly Lion: Harland Greer (Mike Connors) was once a boxer. “Having once been a boxer” is really all that matters to him. He faced physical danger with courage, once upon a time, but the courage has deserted him and he is now a patsy for nearly anyone, including Mrs. Willows (Shelley Winters), the co-owner of the facility and Billy Ray Turner, a local bully. Harland is the Cowardly Lion. Through Gideon’s intervention, he stands up to both bullies and, since that is his one flaw, overcoming it makes him a Whole Man. Tin Man: Addison Sinclair has no heart. 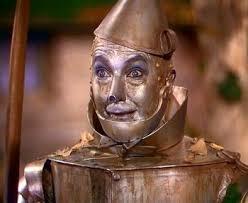 He is the local Tin Man. He is seriously in love with Elly, who respects Addison and is head over heels in love with love, but he cannot bring himself to say so. Gideon rigs the search for a lost resident so that Addison discovers her—he is a hero—and pushes Addison very directly to confess his love to Elly. Addison tries and fails until Gideon’s death. Then he succeeds. Scarecrow: It is not quite fair to say that Sarah (Barbara Bain) has no brain, but she does have serious lapses of memory and is quite confused. Gideon can’t give her a brain, of course, but he does make up a set of cards for her to wear on her wrist—not a bad trick for an illiterate man—and the cards tell her her room number and the meal times and when her TV shows are on. It is all that can be done for her and it is Gideon who sees the need for it and who finds a way to make it happen. Gideon, of course, is Dorothy. He knows when he shows up at the senior center that he has leukemia and will not live long. There is no theology at all in the movie—it’s a theological pot luck; you are all invited to bring your own and something to share. If there were a theological perspective, I would recommend that it offer the parallel that Gideon, like Dorothy, only wants to go home and, in the end, does. Another way to appreciate Gideon’s ministry is to look at the last scene by itself. Look carefully. There is no dialogue at all; just a soft musical score. Richard Willows (Taylor Nichols), the wimp doctor, and Jeanne MacLemore (Crystal Bernard), his beloved, sit quietly together on the patio. Leo Barnes (Carroll O’Connor), formerly only a curmudgeon, passes hors d’oeurvres among the guests bidding each bon appetit. Addison and Elly, to whom Addison has finally confessed his love, sit at another table, obviously in love and oblivious to others. Harland, who has overcome his cowardice and has acted bravely for the first time in a long time, sits with his hands out holding the yarn that Sarah, who struggles to remember when her programs are on and where her room is, knits the yarn. Every sign of health and happiness we see is Gideon’s work. Our illiterate, autistic, terminally ill superhero. It’s tempting to ask just how hard can it be if Gideon can do it. But if you have tried, you know how hard it is, and it is a pleasure to see it done so well. Rather than, say, Clarence Earl Gideon, hero of Anthony Lewis’s book Gideon’s Trumpet and played memorably by Henry Fonda in the movie. “Coleman Walker” is played by Mykelti Williamson and is always called that: Coleman Walker. It’s a little bit of an inside joke. Gideon addresses everyone he meets in exactly the form the introduction took. Elly Morton (Shirley Jones) does the introductions when Gideon first arrives and calls everyone by his first name. So Gideon calls everyone by his first name. Coleman Walker introduces himself, in a later scene, and give both names. Gideon, whose great strength is remembering everything he hears exactly as he heard it, calls him by both names. Always. Or Theodore. 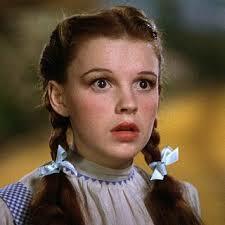 Dorothy and Theodore both mean “gift of God.” All you have to do is switch the syllables. This entry was posted in Getting Old, Movies, Paying Attention and tagged being truly heard, dignity, Gideon, movies, senior centers, stereotyping, Wizard of Oz. Bookmark the permalink. Well shoot. You would interest me in a movie that’s not on Netflix. Thankfully, it’s available on Amazon . . . on VHS . . . for $50. Still, what a great post! I love the idea that each character can be matched up to one in “The Wizard of Oz.” If that was ever intended by the scriptwriter, it’s an ingenious move on his or her part. If it wasn’t, it’s ingenious on yours. I just love the way you think. I will take severe criticisms from you any day, my son. I’m pretty sure the Oz connection was one I made, but the whole show has the shape of the medieval morality plays where everyone stands for a “kind of person” and in which Everyman was a character. I am unhappy about the VHS status, too. I have had a DVD made (bad quality) and I will send it to you if you like. I would enjoy having Gideon in common. I’m sorry to hear it’s so expensive and in dated format. I too would have liked to watch. I missed the paragraph about the final scene for when I do catch up with it.